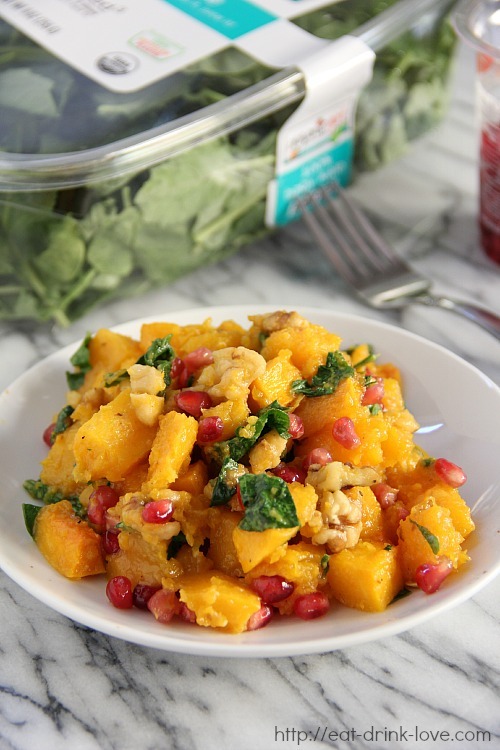 Baked Butternut Squash with Kale - Eat. Drink. Love. Ok, don’t get angry at me. I know it’s just Halloween, but I am going to talk about Thanksgiving. It will be here before you know it and I don’t know about you guys, but I like to plan my menu in advance, especially if it’s a new recipe so I can test it out before serving it to the family. Turkey, stuffing, mashed potatoes, those are all a given. It’s the other side dishes that I like to change up each year. 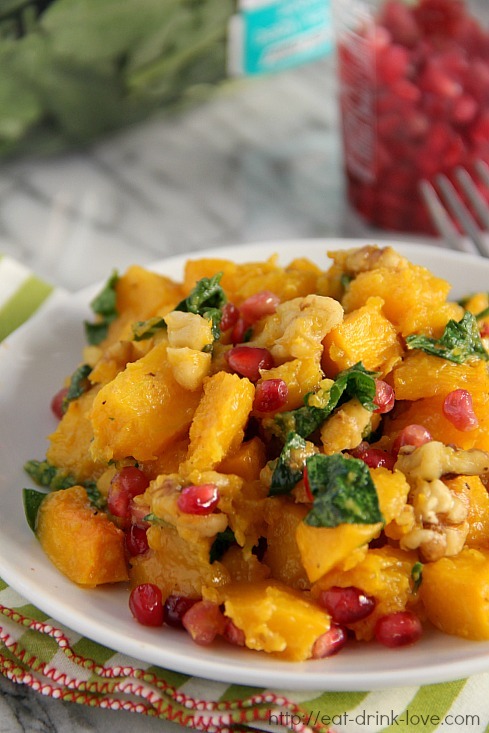 This baked butternut squash with kale is the perfect side dish! It’s easy to make and oh so delicious and it’s much healthier than other cream and cheese-filled side dishes you see. For the kale, I used greens from my most favorite greens company, organicgirl! I know I’ve said this before, but their greens always impress me. They are so incredibly fresh and best of all, they last! Anytime I buy a big package of greens, they always go bad before I could use them up, you will not have that problem with organicgirl! 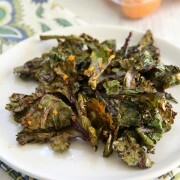 When I received my package, I knew I wanted to make a delicious side dish with the baby kale. I simply baked butternut squash in the oven with a little olive oil and salt. 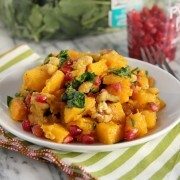 Then I tossed in handfuls of fresh baby kale and toasted walnuts, and topped it off with pomegranate seeds! This would be a great sub for your usual sweet potato dish. Preheat oven to 400 degrees F. Spray a baking dish with non-stick spray. Prepare the butternut squash. Peel it. Then using a sharp knife, cut down the middle, lengthwise. Use a spoon to clean out all of the seeds. Then dice into bite-sized cubes. Pour the cubed squash into the baking dish. Drizzle with olive oil and salt and toss to coat. Place the baking dish into the oven and bake for about 45 minutes or until the squash is tender. Remove the dish from the oven. Add the kale and mix in with the squash. Sprinkle the walnuts on top. Bake for another 5 minutes or until the walnuts are lightly toasted. Remove and garnish with the pomegranate seeds. Add more salt if needed. 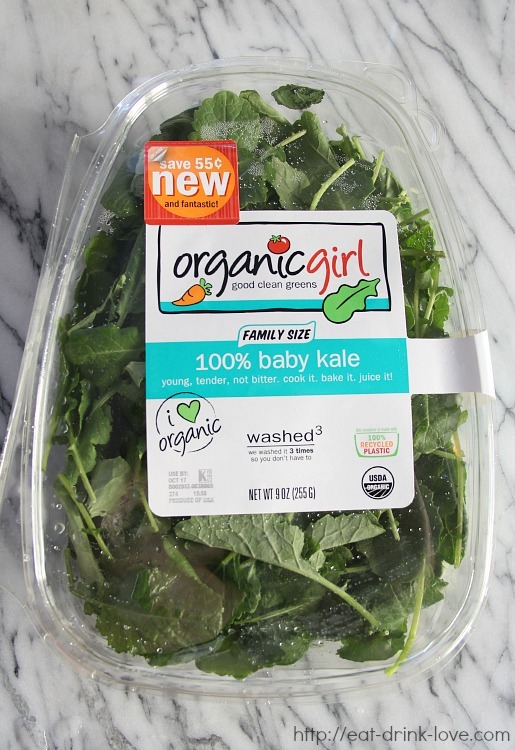 Disclosure: I received a clamshell of organicgirl baby kale to try and to create a recipe with. All opinions stated in this post are my own. I’ve SO got Thanksgiving on my mind as well! So many great side dishes and never enough time to enjoy them all on the actually holiday. 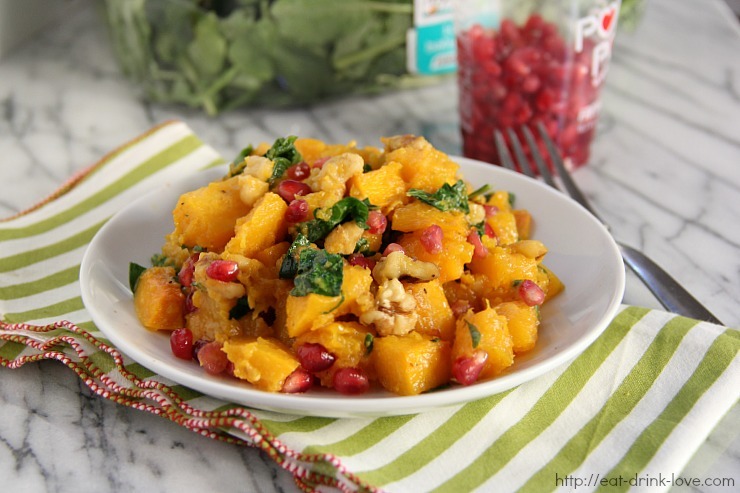 I love the pop of those pomegranate seeds – both in color and (I can imagine) in flavor! I love it! So simple, yet so flavorful! This would make a great side dish for Thanksgiving!!! I Love butternut squash so much!! Yum!! Your dish looks amazing and you have to love organic girl lettuces ect… buy them all of the time!! what a delicious recipe! 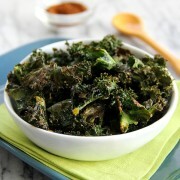 I really love the use of kale and squash here, yum! Love this, Stephanie! 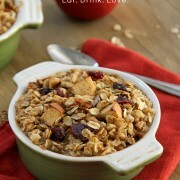 It would make such a great Thanksgiving side or just a little something different for weeknights. 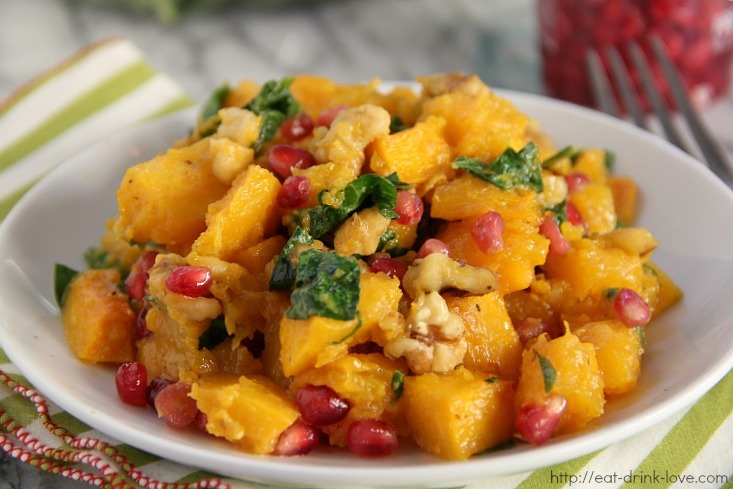 Wonderful fall flavors, and SO healthy! I’m with you — we have the same turkey, stuffing and gravy each year, but I like to change it up with the sides (although call me crazy, I HAVE to have green bean casserole from the can each year) — this looks awesome!! Ive already got thanksgiving on the brain, too :) looks delicious. I’m so on Thanksgiving mode too! And I love how cozy this dish is – it definitely screams fall! Thanksgiving kind of dish. Love it, lovely flavors. I love planning Thanksgiving early. This year I haven’t started yet and I feel behind. I would eat this side dish any time of the year. It looks great!